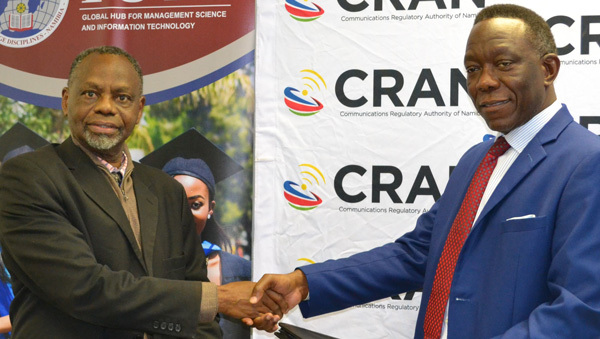 The Communications Regulatory Authority of Namibia (CRAN) signed a Memorandum of Understanding (MoU) with the International University of Management earlier this week. The MoU is focused on the cooperation and possibilities to explore the establishment of a regular internship programme for suitable IUM students in any faculty, provided that the regulator has a department relevant to the area of study for IUM students. The MoU also makes provision for the regulator’s attendance and participation at the IUM Career Fairs which are held from time to time and possible synergies concerning exchanges between the regulator and IUM Faculty Advisory Board. “CRAN wishes to contribute and support the aims of IUM pursuant to its Internship Policy. 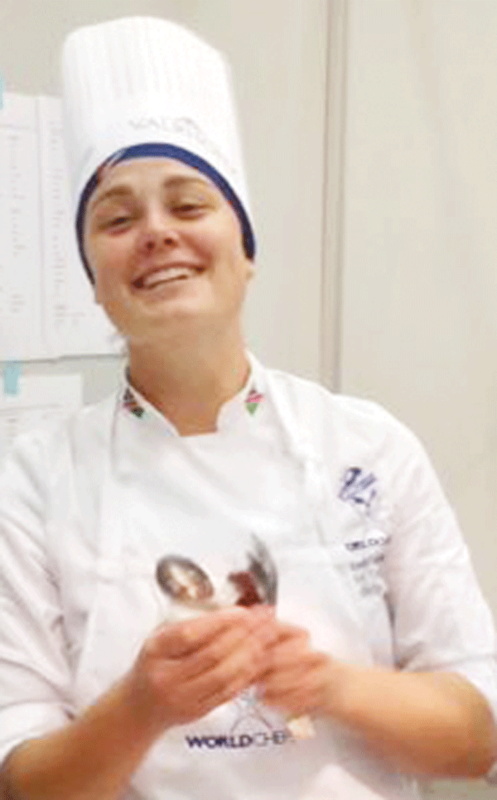 The Authority further intends to give students an opportunity to apply the theoretical knowledge gained during their studies to a practical setting, as part of its social responsibility and its effort to ensure a better workforce for the benefit of the Namibian Society at large. 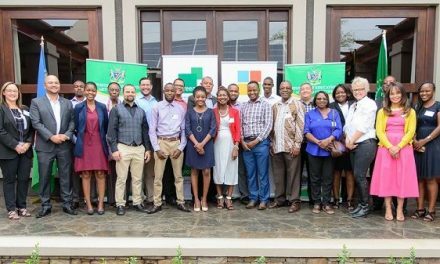 Therefore, CRAN has agreed to provide work placement for students, as the need arises and based on the availability of internship opportunities,” said Festus Mbandeka, Chief Executive Officer. The two entities also agree to explore research and development initiatives for students doing action learning projects and/or mini thesis for research, subject to the provisions of section 27 and 28 of the Communications Act (No. 8 of 2009) on the public availability of information. The MoU will also offer research opportunities for students to identify specific areas of research in CRAN, pertaining to bona fide industry needs. The internship programme will also provide students with an opportunity to explore career options or to make informed decisions regarding their career development and increase their range of employability skills. 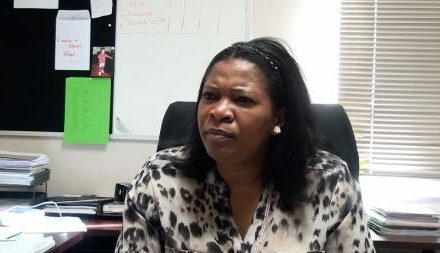 The students will be subjected to CRAN work and Human Resources policies at all times during their internship programme. CRAN has signed MoU’s with other institutions and created a smart partnership engagement with various sister institutions such as: Namibia Statistics Agency: aimed at collaborating to advance common goals in the areas of data collection and analysis in telecommunications services and networks, broadcasting, postal and the allocation of radio spectrum; National Commission on Research, Science and Technology: to identify roles and responsibilities in the planning of collaborative research and development, educational and training activities; Ministry of Finance: Directorate of Customs and Excise: to promote cooperation and coordination when dealing with equipment approvals and standards at various border posts within and around the Republic of Namibia; Bank of Namibia (BON): to establish the manner in which the regulators will interact and cooperate with each other in respect of investigations, analysis and the handling of mobile network operators, money market, SIM registration, etc; o Namibia Competition Commission: to manage and facilitate cooperation and consultation in respect of competition matters in the ICT industry; NAMPOL: to assist the Authority in the investigation of regulatory offences; UNAM and NUST: to provide students with an opportunity to explore career options or make informed decisions regarding their career development and increase their range of employability skills; and UNESCO: to establish a framework for cooperation and possibilities to promote community broadcasting services in Namibia. “Both entities are determined that the MoU and its implementation will reinforce cooperation between CRAN and IUM, in order to achieve a common objective of providing internship opportunities for students,” Mbandeka. Caption: From left; Prof. Kingo Mchombu, Acting Vice Chancellor IUM and Festus Mbandeka, Chief Executive Officer CRAN.